Renovation and adaptive-reuse projects are not limited to cities such as New York, Michael Poris, AIA, principal, McIntosh Poris Associates, Birmingham, MI, observed. 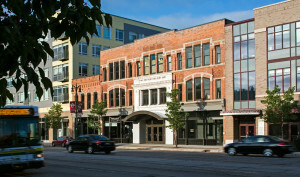 Despite the omnipresent media images of Detroit as a city of abandoned or razed buildings and vacant lots, Poris has seen steady development in the midtown and downtown areas of Detroit. “Back in 1997 there were less than 100 projects, and by 2008 there had been nearly $40 billion in development, and likely over $50 billion up to the present,” he said.